I know very little about Fulani cuisine and coming across a Twitter handle like @FulaniChef immediately perked up my curiosity which had to be completely satisfied with a feature on #MeetTheChef. Connecting with Binta, owner of FulaniKitchen was easy as Nkatie cake and we settled on a date for the feature. Chef Binta is a private chef at Fulani Kitchen and also works at the Villa Monticello Boutique hotel in Airport as a full time chef. Chef Binta: I started cooking at an early age thanks to my grandmother who prepared different Fulani meals which she sold at the market. I remember quite vividly how I would attempt to lift cauldrons to prepare the kitchen for cooking. Even though I was born in Sierra Leone, I am Guinean. My parents are from Guinea and they moved to Sierra Leone some years ago. Being in the kitchen at an early age established my skills in using traditional utensils to prepare meals. I believe we should be able to combine both traditional and modern cooking techniques to bring out the best taste experience in our food. What got you started on your journey as a chef? 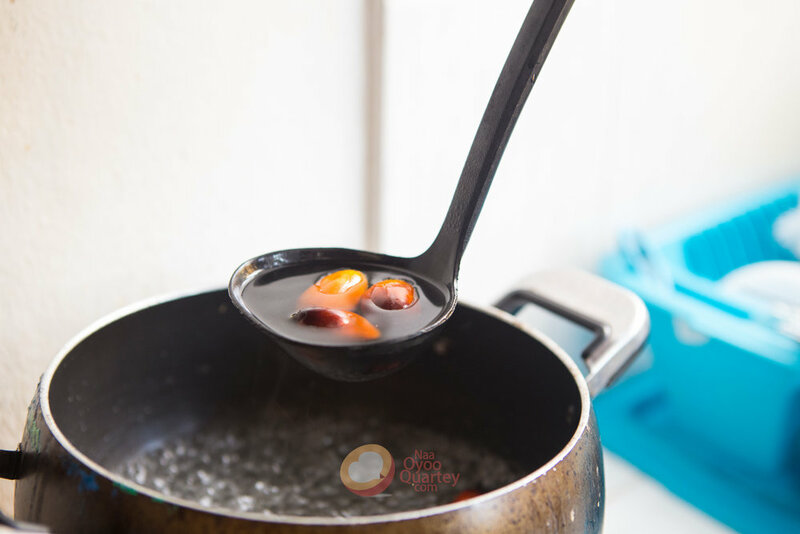 Chef Binta: My love for cooking actually started in my childhood as mentioned earlier but it was my time in Spain whilst home after an out-of-job-stint. I finally listended to all those people that said "Binta you can cook" and ventured into sandwich making and selling to MBA students. They loved it. I was always cooking and inviting people to come over to eat and formalising and polishing up my skills was just a fantastic idea. Kenya was an incredible country and my two years experience in the chef school there, exposed me to different cuisines. I started hosting events with an organisation called Upside Africa when I came to Ghana. I did one event for them and the other two events was on my own by bringing entrepreneurs together through food. That’s when I started when working at La Villa Boutique in Osu. I left that job and travelling a bit and became an ambassador with Chefs in Africa for anglophone countries. We travel around Africa to promote chefs who are passionate about promoting African cuisine to the world. We created a platform to share how they can climb up the chef career ladder etc. This is something which I am still involved in. I came to Ghana and got a job at Villa Monticello. I have learnt a lot at this current job through Executive Chef Ruby. She’s an incredible chef and very good at her creations. It is very important to constantly be reinventing oneself so I am always developing new recipes with influences from Fulani cuisine. What can you share about Fulani cuisine ? Chef Binta: Corn is a major staple amongst the Fulani’s. Our method of cooking with corn is different from how it’s prepared in Ghana. We don’t ferment our corn and there are dishes where corn is cooked with a resemblance to Fufu. We wash, pound and use it accordingly. Fulani cuisine contains common ingredients like peanuts and beef. What makes Fulani dishes quite unique is our total independence from the use of artificial flavourings like stock cubes. Our meals are always fresh and natural. Just like this Pumpkin sauce, the flavour mainly comes from the natural meat juices and organic spices used to marinate the meat. This makes a meal more memorable. The civil war in Sierra Leone caused us to flee to Guinea. Despite this traumatic experience, I learnt a lot whilst in Guinea with respect to the language, the food, the people, etc. How exactly are you promoting Fulani cuisine? I use mostly pop-up food events where diners get to experience both traditional and modern style of Fulani dining. Diners get a 360 degree experience of using traditional utensils, sitting on mats and eating in a communal environment which fosters conversations and builds relationships. I want to focus more on getting my food out there. I have collaborated with other chefs for some of these pop-up events. Biishville and I are actually planning a Christmas food pop-up event. What are your thoughts on the food business industry in Ghana. 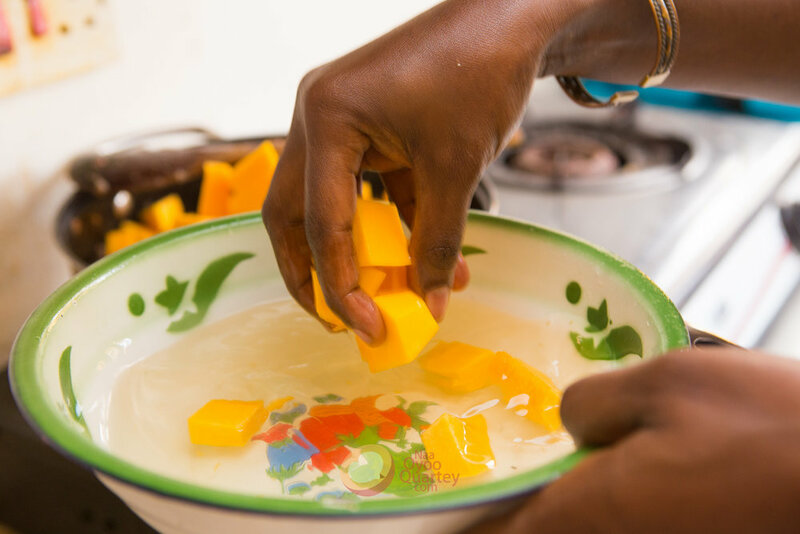 Chef Binta: It’s not easy penetrating the Ghanaian food industry with different cuisines. The average Ghanaian isn’t very adventurous with their palate. They usually stick to what they know i.e. waakye, kenkey etc. In order to penetrate the market, it’s critical to be creative with your offerings. Ghanaian cuisine is a little bit boring and it needs to be spiced up to taste great. I think Ghanaian food taste almost the same anywhere you go. For example, Nkontomire stew in Accra tastes the same or almost the same as in Kumasi. There’s very little variance. Fufu in Accra is the same as in Cape Coast. The preparation is the same with very little changes in spicing. I feel like in Africa we don’t respect food like we should. We don’t take time to appreciate and enjoy food. We just eat and go. We don’t need to rush the consumption of food. What are your favourite organic spices in your spice rack? Chef Binta: I use basil a lot but I love coriander more. I used it a lot in Kenya. Kenyans put coriander in almost everything and aside being an incredible herb it has incredible health benefits. Adding coriander to your diet is great for your skin as it contains cineole, an essential oil found in coriander leaves. If you want glowing skin, eat more coriander. I use kankaleba which is popularly used by Fulani’s in Nigeria, Sierra Leone, etc. You can also find it in Nima market. Nima market has a wide variety of spices. Ghana Jollof vs Nigerian Jollof? Chef Binta: (*laughs*) I love Ghanaian Jollof. I would choose it over Nigerian Jollof any day. Chef Binta prepared Kanyah, Sierra Leonean sweet snack which I was totally enthralled by. It was a pounded mash up of slightly roasted gari, sugar, salt and peanut butter. The taste of which strongly resembled nkatie cake but with a more smoother yet crunchy taste. Kanyah, according to Chef Binta was a snack her mother would give her to sate her hunger before dinner. 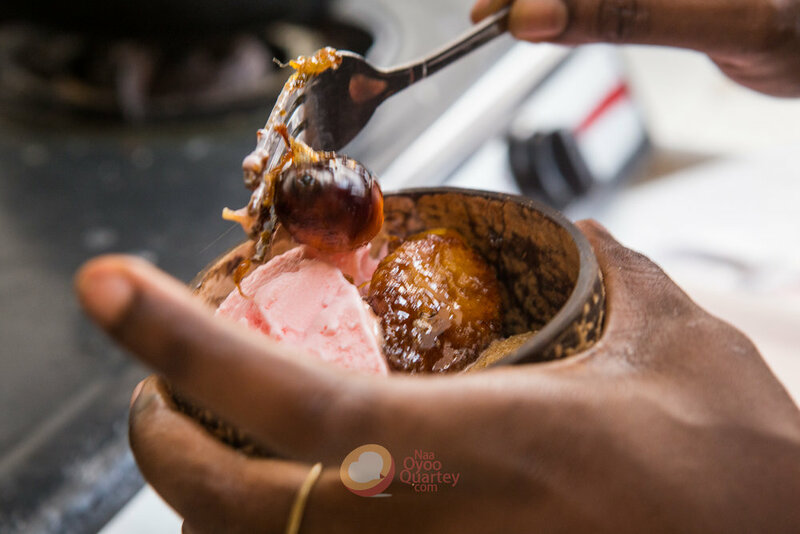 She added a twist to dessert by caramelising palm-nut and plantain plus a scoop of vanilla ice-cream. What an incredible mix it was! It was super filling and I had to do the Ghanaian thing and ask for 'take-away' :D. It was such a delight learning about Fulani cuisine and even more important taste experiencing authentic Fulani food. Africa is a vast landscape of incredible cuisines which must be shared, explored and discovered by Africans and the world at large. Oct 12 Ghanaian Fraudsters Used Fake Facebook Accounts To Defraud This Young Woman of Thousands of Cedis. Jan 13 Why Traditional Cooking Utensils Must Be Preserved in Preparing African Cuisine.